When it comes to home improvement projects that add value to a property, roofing sits near the top of the list. No surprises there. A new roof can instantly give a drab-looking home a fresh new look. Aside from that, the benefits of new roofing go beyond the aesthetic factor – it also protects your home and your family’s safety from harsh weather. However, making a decision to get new roofing is just the beginning. There are other important decisions to be made. First, you have to decide on the right contractor for the job. Second, you have to choose the right type of roofing for your home. Choosing the right contractor is not to be taken lightly. Some homeowners make the mistake of immediately going for the one who offers the lowest bid without knowing more about the quality of their work. Regarding to whom you entrust your home, you want to go for the one you can rely on to do a really good job. Since 1998, Dillon Bros. Roofing has shown Queensville homeowners that choosing us is the best decision you can make for your home. Because we are a family owned and operated company, you can be sure that we personally take care of the projects we handle. We are dedicated to providing our customers in Toronto, York, and the Durham regions with the highest quality roofing products and the most dependable services. Thousands of homes have been provided by Dillon Bros. Roofing with the best roofs. There’s no reason why you shouldn’t enjoy them, too! One of the reasons shingle roofing is a favourite of Queensville homeowners is that it has some of the best qualities you’ll ever look for in a roof. It is elegant, highly durable and can withstand extreme temperatures and harsh weather conditions. It’s also not expensive. You can choose from our range of roof shingles from some of the best names in the industry – BP, GAF, and IKO. Dillon Bros. Roofing is certified to install these products and we offer them with warranties from 25 years to a lifetime. A lot of Queensville homeowners go for metal roof because they are very low-maintenance, durable, eco-friendly, and lightweight. 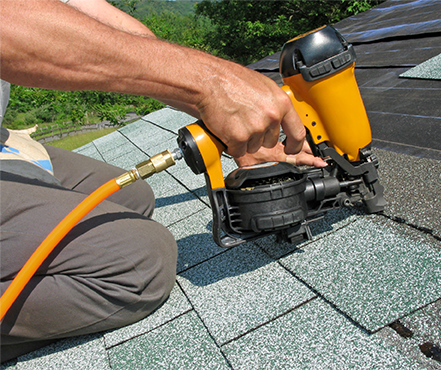 Our expert roofers can install “shingle-style” 3-foot interlocking Katola systems. 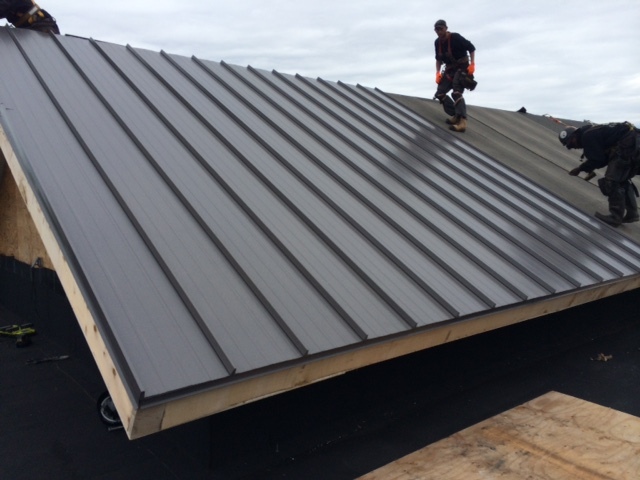 Additionally, we provide full-length panel roofs in different profiles including standing seam panels from STEEL TILE ROOFING. BUCHNER ALUMINUM SHINGLES are available, too. They come in different colours for you to choose from, so make sure you get one that fits your home’s look. Another cost-effective option is flat roofing that also offers easy and safe maintenance. If you are a homeowner who likes to do his own roof cleaning, this is a perfect option since you don’t have to worry too much about falling off! We offer flat roofing membranes like classic 2-ply modified bitumen and single-ply TPO and EDPM. Dillon Bros. Roofing is a licensed installer for CARLISLE, FIRESTONE, IKO, and SOPREMA roof products. 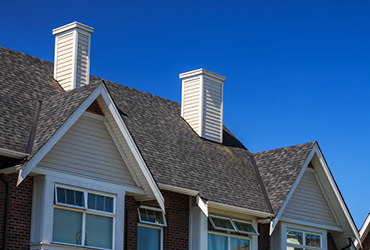 While Dillon Bros. Roofing is known for our exceptional installation services for residential and commercial roofing – both for newly-constructed properties and as roof replacement – we also offer other services. These services include installation of skylights and sun tunnels, aluminum and vinyl siding, and gutter clean systems. We also cover snow removal and eaves trough cleaning. All our services are offered at fair prices. The lowest bid you’ll receive may not come from us, but you’d get the highest quality service there is at the price we offer. Now you already have some idea about the roofing types you can have for your Queensville home and you know who to call, there’s only one question left: Whendo you want the roofing project to start? Call us when you’re ready!